Kick off your visit on the 1st (Wed): kick back and relax at Bucht Von Adrasan and then kick back and relax at Adrasan Koyu. For ratings, photos, other places to visit, and more tourist information, refer to the Adrasan trip planner . Alexandria, Egypt to Adrasan is an approximately 10.5-hour flight. Due to the time zone difference, you'll lose 1 hour traveling from Alexandria to Adrasan. Traveling from Alexandria in May, plan for a bit cooler nights in Adrasan, with lows around 18°C. Wrap up your sightseeing on the 1st (Wed) early enough to travel to Goreme. Escape the urban bustle at Cemal Ranch Horse Riding Center and Balloon Rides. Spend the 2nd (Thu) exploring nature at Goreme National Park. 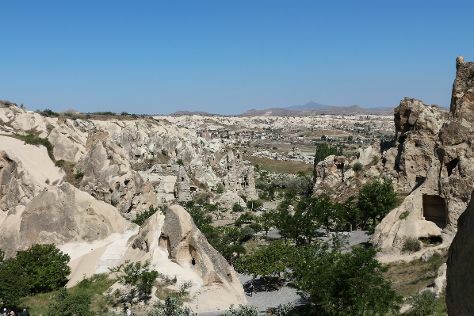 Spend the 4th (Sat) exploring nature at Goreme Tarihi Milli Parki. The adventure continues: stop by Turquoise Rugs & Bags. To find photos, reviews, maps, and more tourist information, use the Goreme road trip planner. The Route module can help you plan travel from Adrasan to Goreme. Expect slightly colder evenings in Goreme when traveling from Adrasan in May, with lows around 11°C. Finish your sightseeing early on the 4th (Sat) so you can travel to Istanbul. Head to Kapali Carsi and Istiklal Streetfor plenty of shopping. 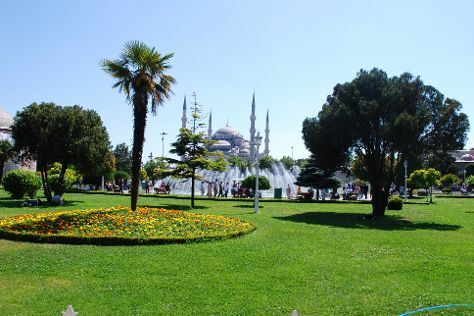 There's much more to do: take a stroll through Sultanahmet District, get engrossed in the history at Topkapi Palace, take in the spiritual surroundings of Sultan Ahmed Mosque, and explore the ancient world of Basilica Cistern. Quickly create a custom-made itinerary for Istanbul using our trip planner. Traveling by flight from Goreme to Istanbul takes 4 hours. Alternatively, you can do a combination of flight and shuttle; or drive. Traveling from Goreme in May, you can expect nighttime temperatures to be somewhat warmer in Istanbul, with lows of 15°C. Finish your sightseeing early on the 8th (Wed) so you can travel back home.